Confession: I'm a bit of a control freak. I don't, for example, enjoy riding in cars driven by other people. Cars driven by no people? Forget about it. Needless to say, I wasn't thrilled when Chinese tech giant Baidu (BIDU) offered me a chance to ride shotgun in a car driven by a computer. 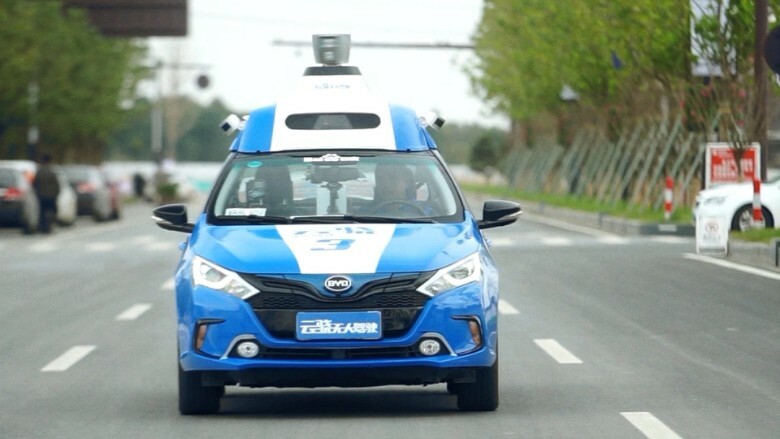 But I was able to put my unease aside, for journalism's sake, and agreed to take Baidu's new driverless car for a spin in Wuzhen, a city located roughly 130 kilometers west of Shanghai. The gizmo spins constantly, scanning the car's surroundings with sensors and cameras that act as the car's eyes. "Everything it is scanning is fed into the car's computer and compressed and analyzed in real time," said Wesley Shao, a senior project engineer who rode along for the test drive. "It's scanning for anything that is 3-D detectable." What's "3-D detectable?" That's anything we might be able to crash into. But the car followed all the rules of the road. There wasn't much traffic to contend with, but it stayed within the lines, stopped at a red light and even made a proper U-turn. It feels like advanced technology, and that's because it is. But Baidu says there's a long way to go before this car is ready for the public. "Right now this car is like a novice driver, if you compare it to human drivers," said Wang Jing, who leads the company's autonomous car project. "Our goal is to make it better than any human driver in the world." But it won't be long before these cars are saving lives, he said. "We are trying very hard to show the real capability that an autonomous driving car is actually safer than a human driver," said Wang, who claimed the project is Baidu's largest-ever internal investment. Major tech and auto companies including Uber, Google (GOOGL), Tesla (TSLA), BMW (BAMXF), Daimler, and Ford (F) are also working feverishly to develop their own autonomous cars. Baidu's goal is to have a small number of functional driverless cars on the roads by 2018. Mass production could begin as soon as 2021. Wang said a majority of cars produced in the year 2026 could be autonomous. Research firm IHS Automotive predicts there will be 21 million such cars on the road by 2035. Another estimate by the Boston Consulting Group estimated the driverless car industry could be worth $77 billion per year by 2035. As for me, I'm not ready to give up control of the wheel and gas pedal just yet. A recent survey commissioned by Kelly Blue Book showed that 51% of people agree, even if it means making other drivers less safe. If Baidu can change our minds, they'll be on their way to major profits.